Home / Domain Sales / Comcast's typosquatting is a "service"
Comcast has announced a new “service” in which customers who type in a domain name incorrectly are redirected to a “help page” that happens to also contain ads. It will be on by default for Comcast customers, although they are offering an opt-out setting for customers who do not want to be redirected. This new addition is called “Domain Name Helper Service” and is being tested in Arizona, Colorado, New Mexico, Oregon, Texas, Utah, and Washington. Comcast claims to have done research on the issue and has submitted a white paper arguing that it is a “best practice” to redirect the confused masses to the appropriate guidance, which includes their paid advertisements. 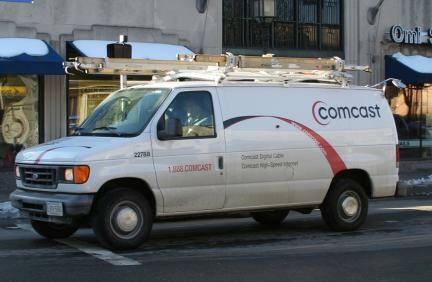 But already the domain world is buzzing that Comcast is the latest ISP to institute typosquatting, the practice of doing just that, redirecting mistype domains to advertisements. When an individual capitalizes off of typos, they are ostracized and possibly even face litigation. When a major corporation does it, they are considered innovative and benevolent for offering a “service” to their customers, the hapless dolts who cannot correct their own domain name typos. Just as soon as you finish clicking Comcast ads after typing in gooooogle.com, a tiny balloon pops up to remind you that you that you have unused icons on your desktop. Welcome to the 21st century. Microsoft obtains patent for "Cybersquatter Patrol"